This year’s online Advent Calendar from the Irish bishops has a special focus on the family as part of the ongoing reflection following the visit of Pope Francis for the World Meeting of Families. The 2018 Advent Calendar was launched on Monday by the Primate of All Ireland, Archbishop Eamon Martin. It provides family prayers and suggestions for acts of kindness or charity for the month of December. It also shares tips on how families can care for our common home by having a more sustainable Christmas. As he launched the online resource, Archbishop Martin invited everyone to “enjoy our online calendar” during Advent. He said it would highlight the themes of “love in the family as well as mercy and peace” and that it would “hopefully help families to prepare for Christmas”. Dr Martin explained that the season of Advent marks the beginning of the Catholic year and is a time of spiritual preparation for the Lord’s coming at Christmas. “It is a time of waiting, conversion and hope,” he said. He underlined that Advent prepares the faithful for the second coming of Christ. “As Christians, we must always be prepared for the coming of the Lord – ‘You must stand ready because the Son of Man is coming at an hour you do no not expect’ [Mt 24:37–44]. Preparation does not happen at once but over time, and so each day of Advent allows us to reflect on the joy of the Gospel. Our online calendar is a helpful resource on this journey. “During Advent 2018 we can reflect on the visit of Pope Francis to Ireland last August when he invited us to welcome Christ in the bits and pieces, the ordinary moments of everyday life. I particularly welcome the inclusion of some of the many inspirational messages that Pope Francis gave to us during his time here as part of this year’s Advent Calendar,” the Archbishop said on Monday. Now in its fifth year, the online Advent Calendar will offer resources – available behind a virtual door of the calendar – for the parish, school and home each day during the season of Advent. Content aimed at helping people pray and reflect on how best to keep Christ at the centre of their Christmas preparations are also provided. The 2018 online Advent Calendar will go live on www.catholicbishops.ie on the first Sunday of Advent, 2 December. A popular feature from last year’s Advent Calendar was the audio thought for the day. Contributors this year will include bishops, priests, religious, laity, staff of the councils and agencies of the Irish Bishops’ Conference, as well as primary, secondary and university students. Ø Information on Trócaire’s Global Gifts for 2018 as well special appeals to help families in need. 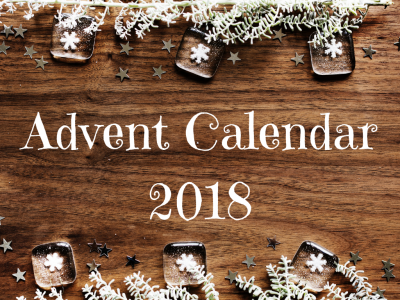 Anyone who wishes to add this year’s Advent Calendar to their website or social media pages can do so using with this link: catholicbishops.ie/advent-calendar. You can also follow updates on a special Advent Facebook page [Advent 2018] and on Twitter and Instagram using the hashtag #liveAdvent.